Although there are a few general strategies for modern resume writing, the purpose of the document remains the same: to convince the reader that you are the most qualified person for the position and persuade them to call you in for an interview. A one-size-fits-all approach is insufficient, and a resume should be customized according to your industry, desired position, and career level. 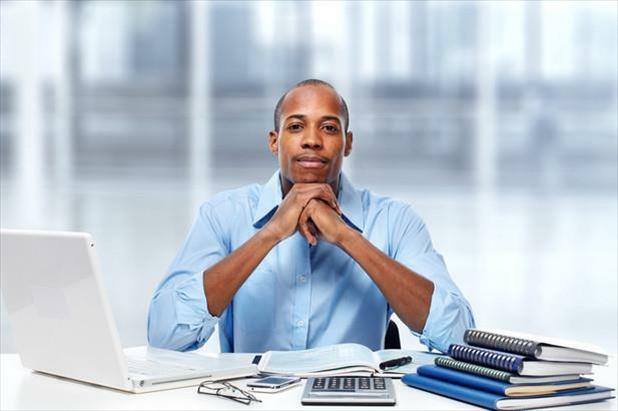 For professionals in the accounting field, there are a number of tactics to employ throughout your resume that will ensure your document highlights your achievements for maximum impact and presents your credentials effectively. Summary Paragraph: A summary paragraph functions as a quick pitch at the beginning of the resume, laying the case for why you are the best choice for the open position. A compelling 3–5 sentence paragraph will provide the reader with concrete, industry-specific qualifications and touch upon technical abilities, leadership experience (if applicable), and soft skills. Summary: Highly motivated and results-driven professional with thorough understanding of financial statement preparation and generally accepted accounting principles (GAAP). Hands-on business administrator with extensive experience directing multifaceted financial operations for startup companies and multimillion-dollar global enterprises, overseeing month- and year-end closing processes, and managing relationships with suppliers, foreign subsidiaries, banking institutions, and investors. Respected leader with broad knowledge of budget creation and analysis, financial reporting, and corporate accounting for single entities and multiple divisions. Content for Core Competencies: The core competencies section (also known as “areas of expertise,” “strengths,” “skill set,” and many other variations) exists to support and complement the summary. In many ways, it is a repository for knowledge, skills, and abilities that didn’t make the cut for the summary but need to be mentioned. The idea to incorporate a list of competencies was born out of necessity with the invention of applicant tracking systems; however, they also provide a way to present your skills in a manner that is easy for the reader to skim. Basic Job Duties & Responsibilities: As mentioned above, there are a few general resume writing strategies, the most popular of which is the traditional chronological format. This is the type of resume that includes in-depth information for each of your previous positions, beginning with the current/most recent role and working backwards through your career history. For professionals who have held several similar positions or handled the same basic duties in a number of jobs, it may become difficult to cover these responsibilities without being repetitive (in that case, a different strategy may be necessary). The most important thing to remember when writing about your job duties is to keep it simple, concise, and straightforward. Provide accounting expertise and HR management for animation production studio with 15–25 employees and annual revenues of $8M–$10M. Report directly to CEO regarding strategic planning, business development, and company’s financial status/performance. Oversee accounts receivable and payable, monthly and annual closing process, and cost management. Quantifiable Achievements: The most important element of any resume will be the accomplishments listed and highlighted throughout the document. Even the best-written and most intelligently organized resume will be ineffective if it doesn’t include achievements that paint the job seeker as a competent professional with a history of producing concrete results for previous employers. Improved productivity 50% by reorganizing accounting and HR functions and implementing new policies/procedures to manage high-volume operations. Created new commission structure to boost productivity of sales staff and suggested strategies to revitalize collections procedures, resulting in 90% increase of collections on outstanding accounts receivables. Revamped departments and streamlined operations to achieve targeted goals despite 75% reduction in staff. Interested in learning more about resume writing? Read about the specific sections that make up a modern resume (the title and summary, core competencies, professional experience, and supplemental sections), take a crash course in the basic “rules” of resume writing, or check out some common mistakes and blunders to avoid. To view samples created by iHire's resume writing team, visit the iHireAccounting Resume Services page.